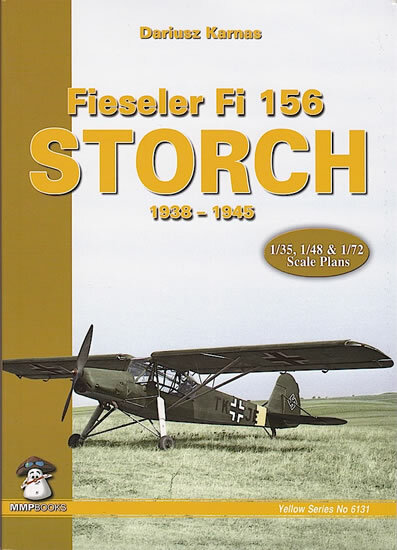 A recent addition to MMP’s Yellow Series books that focus in detail on a specific aircraft type, this title will be of great use to anyone who wants to model or is otherwise interested in the Fieseler Fi 156 Storch. Don’t be deceived by the book’s compact format: its 176 pages are packed with a well-balanced selection of text and illustrations that provides a near one-stop reference on the Storch. 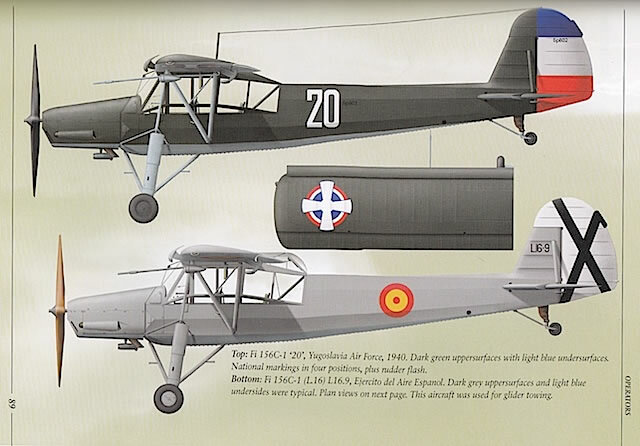 Development of the Storch, from the first prototype to the main production variants. Several experimental versions are also discussed. Good use is made of period photos, colour profiles and line drawings to highlight the differences between variants. 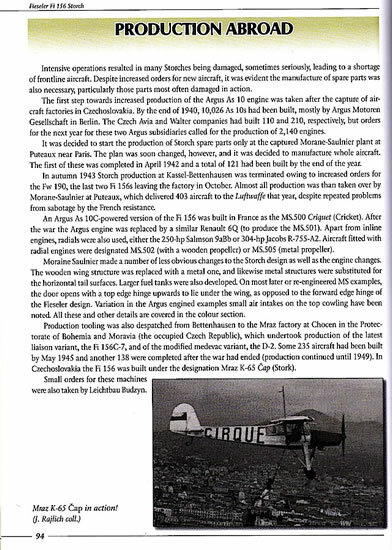 Foreign operators and production – a detailed description of the Storch’s use by countries other than Germany (I counted at least 15). 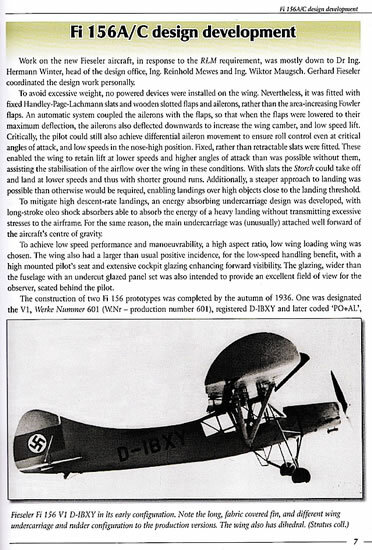 For me, this variety of marking choices is one of the great attractions of modeling the Storch, and the illustrations in this section include some very tempting aircraft. Technical description – this section is brief but thorough, and supported by a number of useful scrap drawings. Storch camouflage and markings in Luftwaffe service. 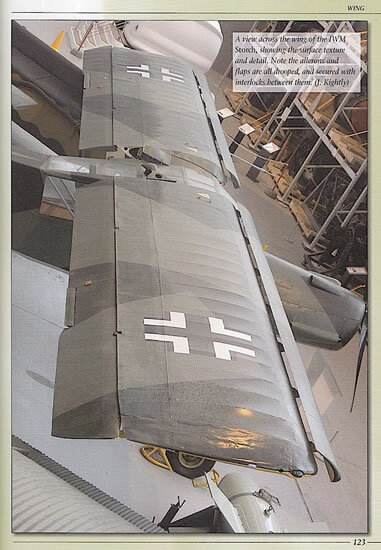 The Storch in detail – over 60 pages of full-colour walkaround photographs of surviving aircraft. The photos are of good quality and, used in conjunction with the technical and period illustrations elsewhere in the book, will be invaluable for anyone who wants to add extra detail to their model. 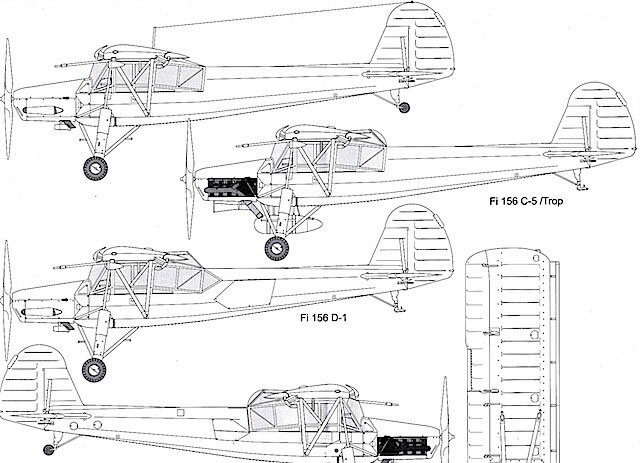 A separate fold out sheet (eight times larger than the book itself) of Storch plans. One side has four-view plans in 1/35 scale, while the other side has five-view plans in 1/48 scale (the additional illustration is a front view of an Fi 156 C-2). The overall quality of the publication is very good. The writing is straightforward and easy to read, and the illustrations are well chosen and clearly reproduced. The book’s small size should also make it easy to handle on the workbench. This book is an essential guide to arguably the best-known liaison aircraft of World War 2. Aimed specifically at modelers, its wealth of information should answer most questions that arise in the course of a build. The illustrations are a particular high point, while the fold-out plans are a bonus that will be useful in comparing differences between various production models.